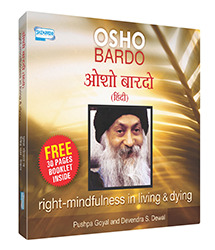 OSHO Bardo is a guided method for meditation, which takes into deep experience of ‘letting go’, relaxation and experiencing dying through meditation. 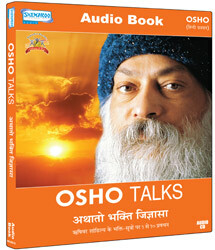 By practicing this meditation fear of death is reduced or one can completely be free of that fear. Duration : Approx. 82 Mins. Life has to be lived so totally and so intensely that you can squeeze each minute’s juice without leaving a single drop behind. Only such a life is authentic' great. Only such a life does not come to an end in death. Humanity has created a very strange situation for itself in which nobody is at ease' nobody can relax-because the moment you relax you face yourself. Relaxation becomes almost a mirror' and you don’t want to see your face because you are so much impressed by the condemnatory opinions of others. Life consists only of moments: thee is no past life. Whenever life is' it is always in the present. Tension cannot exist in the light of awareness. Love is the art of being one with the whole. There is no spiritual goal. In fact' you are already there but simply not aware. If you can become just a little alert' you will be surprised that you were seeking unnecessarily' searching here and there -- and the seeker was the search. The moment you find the positive' the light' the darkness is finished. Rejoice in being a stranger' rejoice in being an outsider. That is the way that will bring you the truth and the divine' and the tremendous splendor and beauty that follows on its own accord. 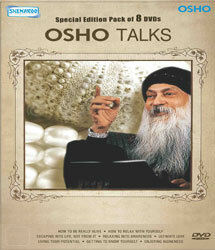 Osho Talks: Chinta Aur Tanav Kyon? 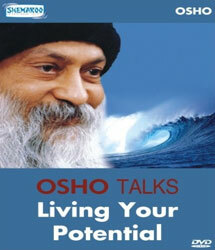 Why do we put off living our potential? 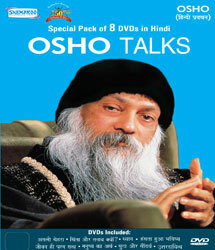 Osho speaks with his usual mix of insight and simplicity about how a man of integrity does not postpone, and that in fact there is nothing to do but realize that we are already there. After all, nothing is more important than knowing oneself, and we are reminded that meditation is the key. 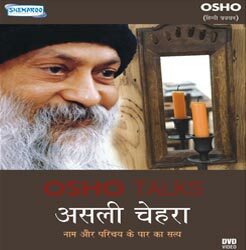 By sharing his own experience, Osho shows us that by being alone we do not lose contact with others, as our fears might suggest. On the contrary only when in contact with our own being can we make authentic contacts with others. The moment you find the positive, the light, the darkness is finished. 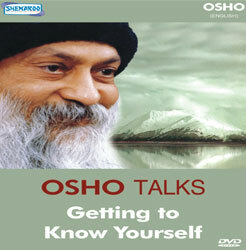 Osho explores the fundamental difference between loneliness and aloneness. When we find our innermost center, where we are “all one, then the pain of loneliness simply melts away.